Professionals who print checks and desire fax, copy, and color scanning capabilities in one, convenient device - will love our ST9818 Multi-Function MICR Check Printer. 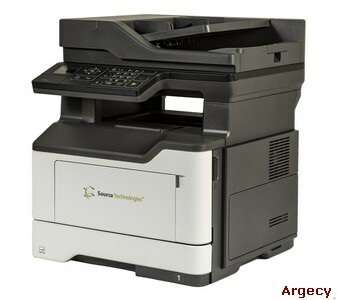 The ST9818 Secure MICR Check Printer is the ideal, affordable solution for multi-purpose print needs. It has a small footprint; time-to-first-page as fast as 6.5 seconds; prints up to 38 pages per minute; prints on both sides of the page with integrated duplex capability; offers easy access to front-load supplies and is powered by a standard multi-core processor and with a full gigabyte of memory. 2Maximum Yield estimate based on 3 average letter/A4-size pages per print job at approximately 5% coverage. Actual yield may vary. All specifications are subject to change without notice.